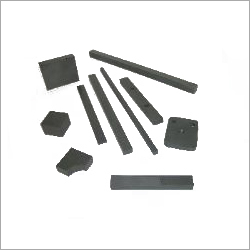 Flat carbide blanks, as the name implies, are flat blanks made from carbide material. This component is crack resistant, and has wear- and heat-resistant characteristics. The clients can choose the right blank for their industrial application from a variety available in different grades (strength, hardness, and average grain sizes) and sizes (thickness x width x length). We keep a stock of these blanks, In case your specified blank is not in stock, it will be manufactured to your specifications. The company has an in-house fabrication unit, which enables quick manufacturing and short time deliveries. Throughout the production process, consistently high level of quality is guaranteed.